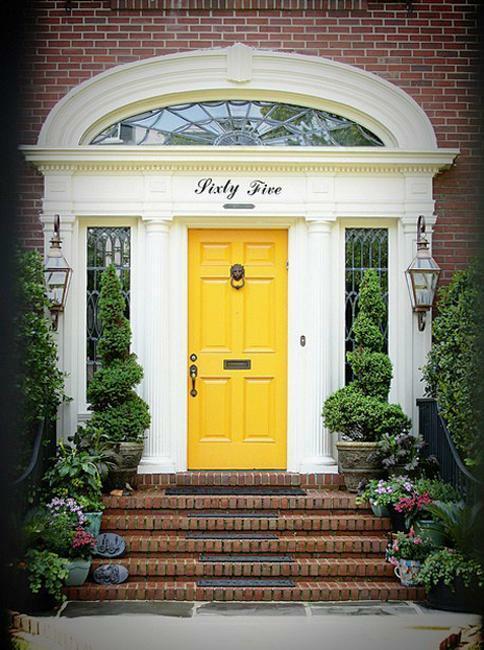 Your home front door decoration is an important element of modern house exterior design and home staging. 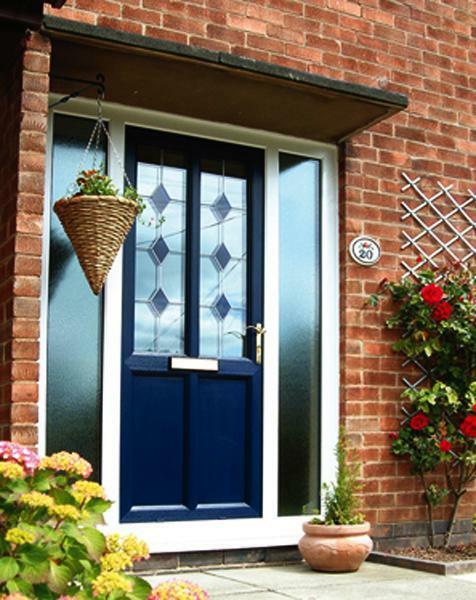 Exterior doors and especially your front door can make or break a sale. 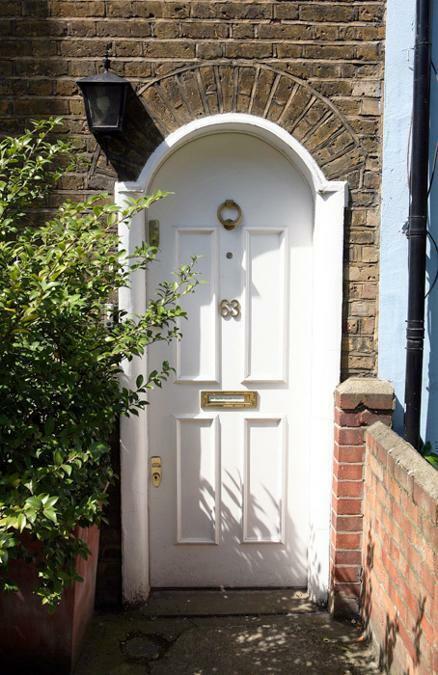 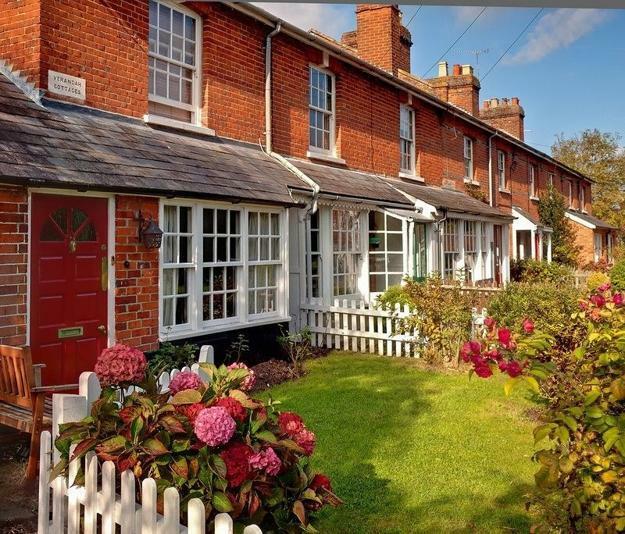 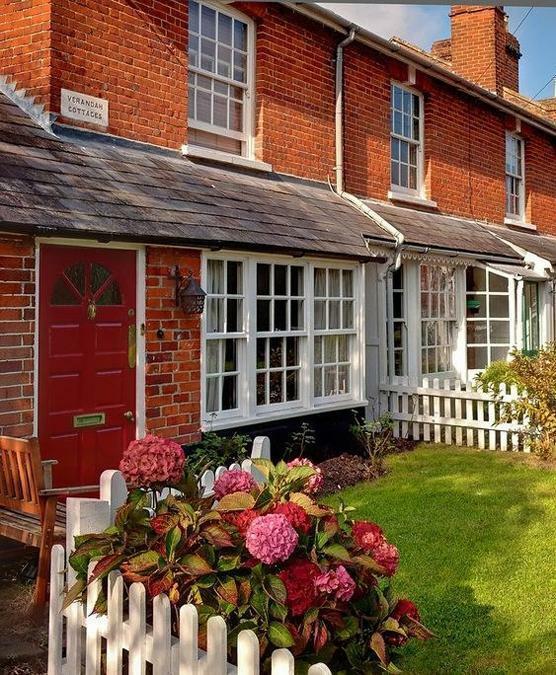 Prospective buyers may get discouraged and past a home that has a dingy front door. 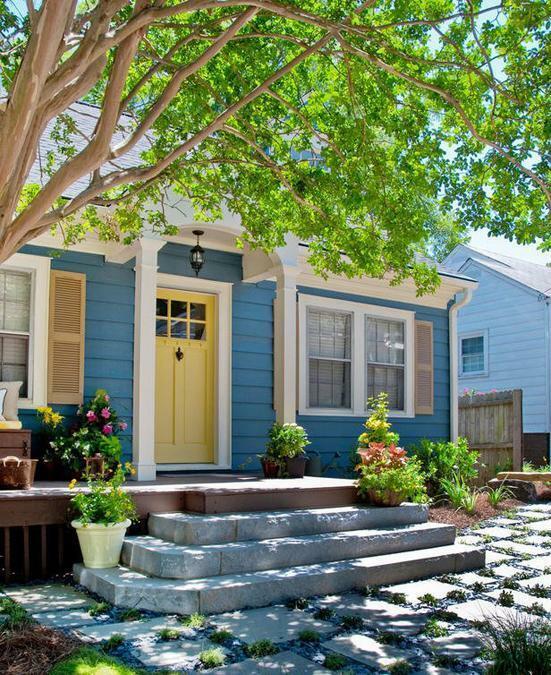 An attractive front door and pleasant exterior wood door paint colors help create a beautiful curb appeal, style your house exterior design and lure potential buyers inside. 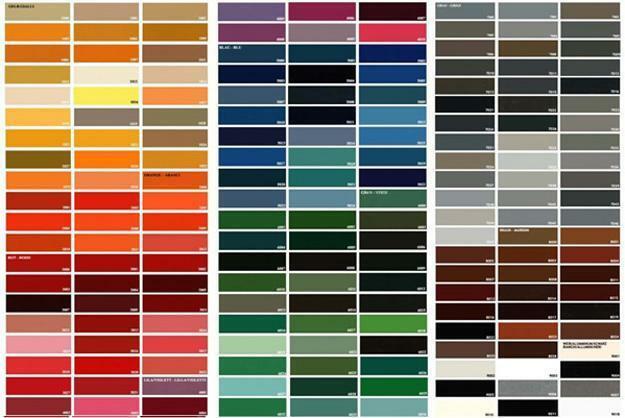 Here is a table of modern paint colors for exterior wood door decoration and 30 gorgeous ideas to beautify your house exterior design and improve your home curb appeal with colorful accents. 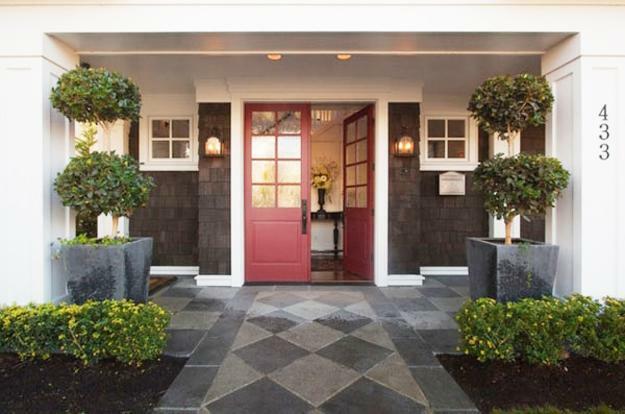 The best for home staging paint colors for front doors vary from region to region. 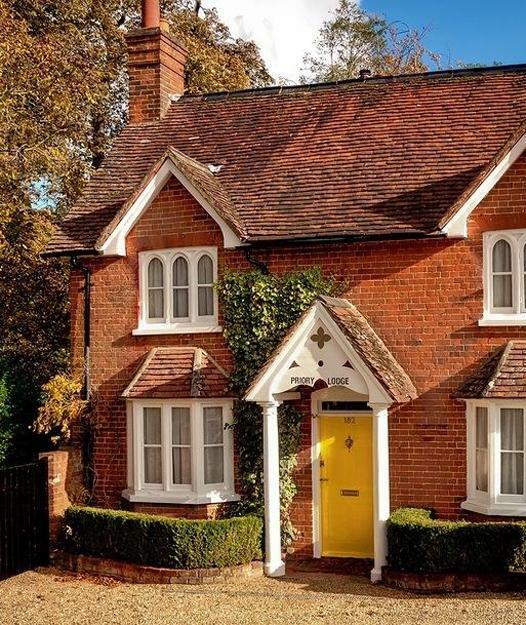 While the right paint color for your front door is the key to faster home sale, selecting a paint color is not a simple task, but a fresh coat of paint attract perspective home buyers no matter where you live. 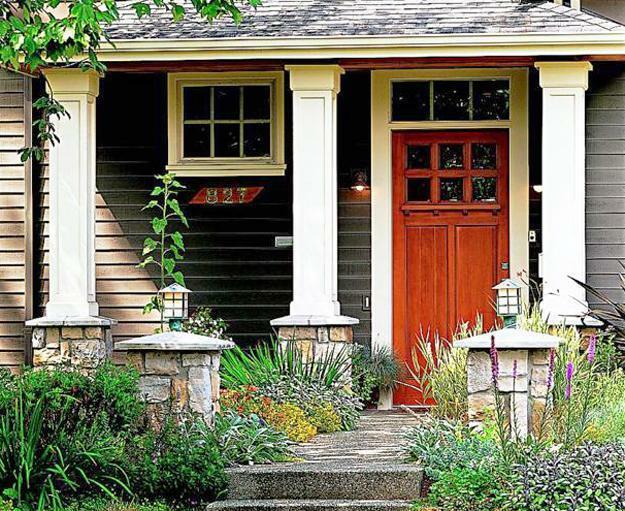 Front doors are important , functional and decorative architectural features that create focal points of house exterior design. 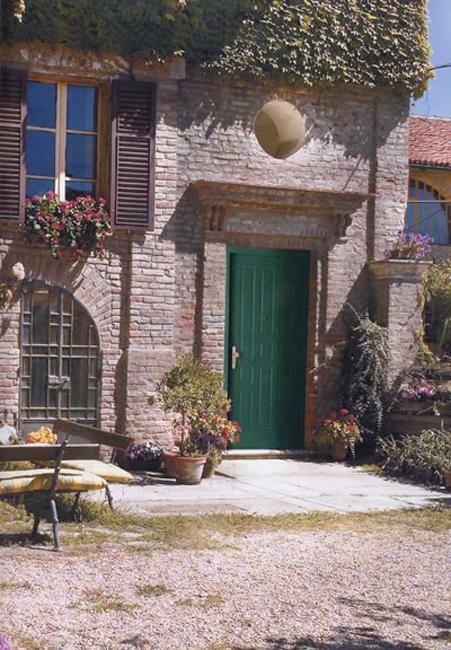 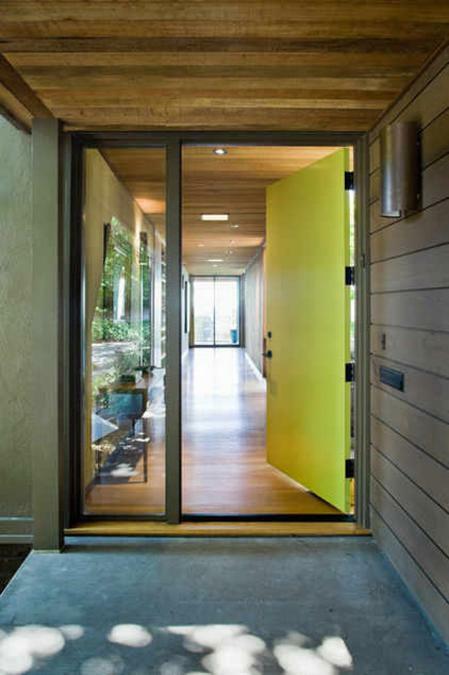 A painted great color exterior wood door adds character to house design. 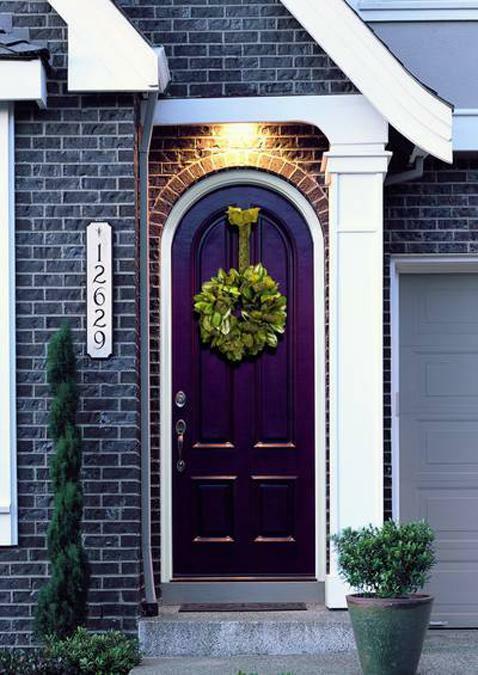 Adding a classic color or a bold pop of modern paint color to a front door decoration intensifies the focal point, improving your home curb appeal and attracting attention to your home. 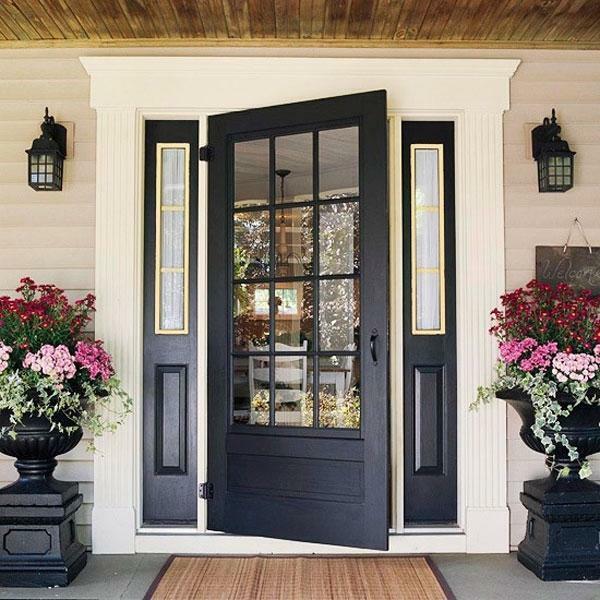 New hardware is an excellent home staging and front door decoration idea. 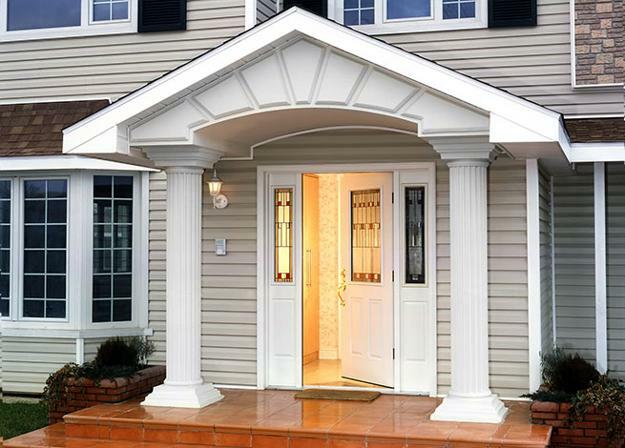 New hardware adds a modern design and a accentuate the front door with color. 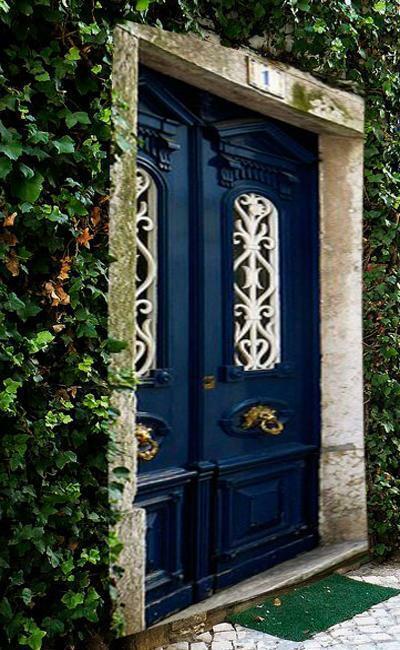 Shiny silver or bright brass adds a contrast to the exterior wood door surface. 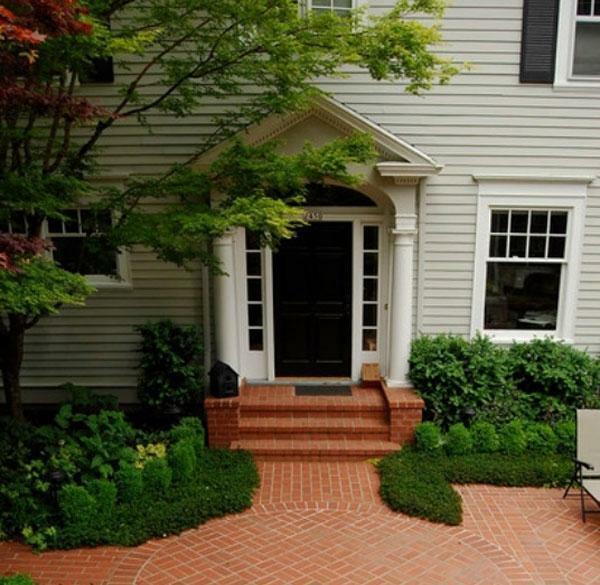 New locks, door handles and new house numbers look fresh and inviting, improving home curb appeal. 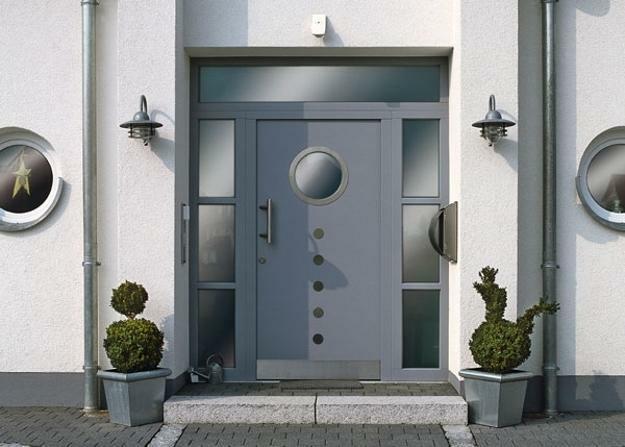 Hardware that matches existing metal details of your house exterior design are a wonderful choice for beautiful home staging and front door decoration in style. 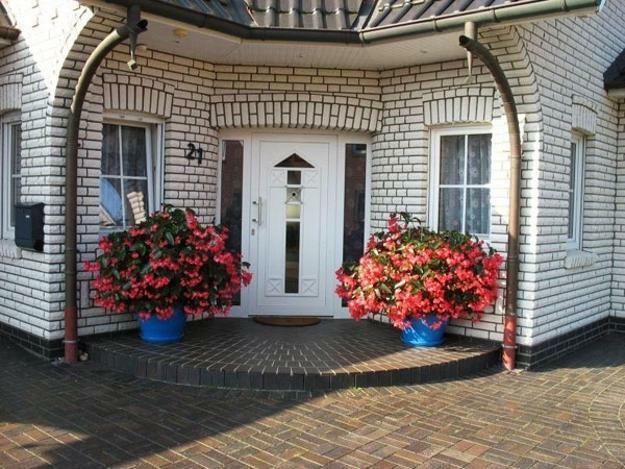 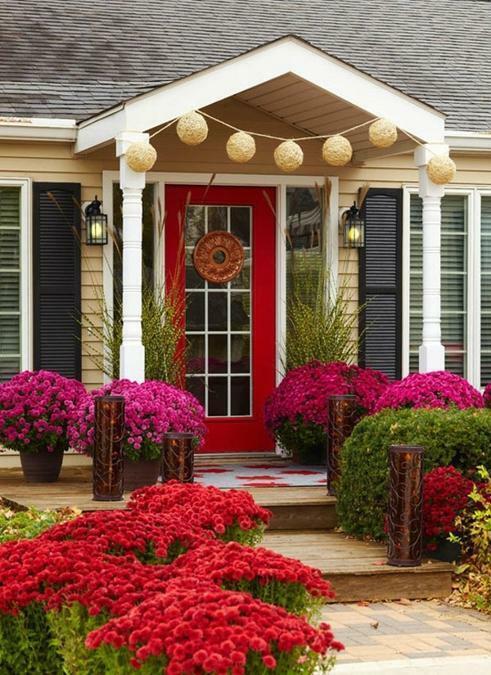 Front door accessories, outdoor lights and plants in attractive containers are a versatile way to add color and welcoming look to your exterior door decoration. 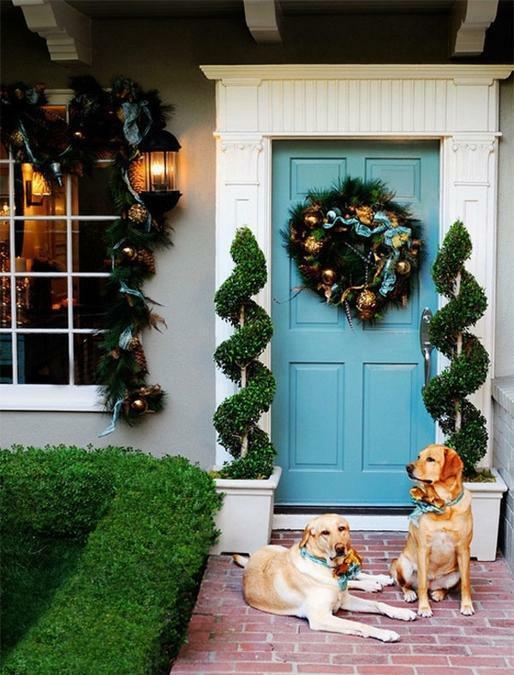 Wreaths and beautiful planters in elegant styles and pleasant colors are great front door ideas that add a splash of color to accentuate your beautiful exterior wood door paint. 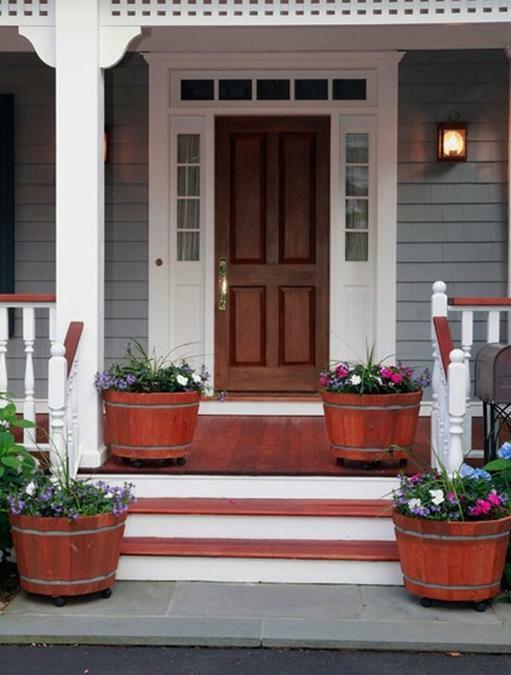 Hanging metal or wood door signs, wind chimes and flower baskets are easy, inexpensive and very effective ways to add a color to your front door decoration and create a gorgeous focal point of your house exterior design, improving your home curb appeal and attractive potential home buyers. 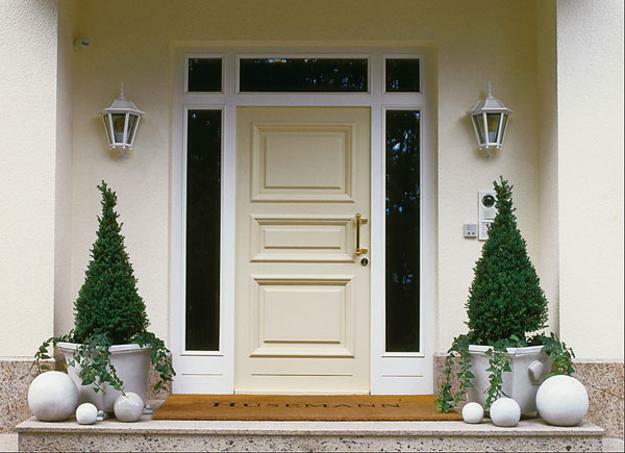 White, creamy yellow, gray and black paint colors add elegance and classy feel to front door decoration. 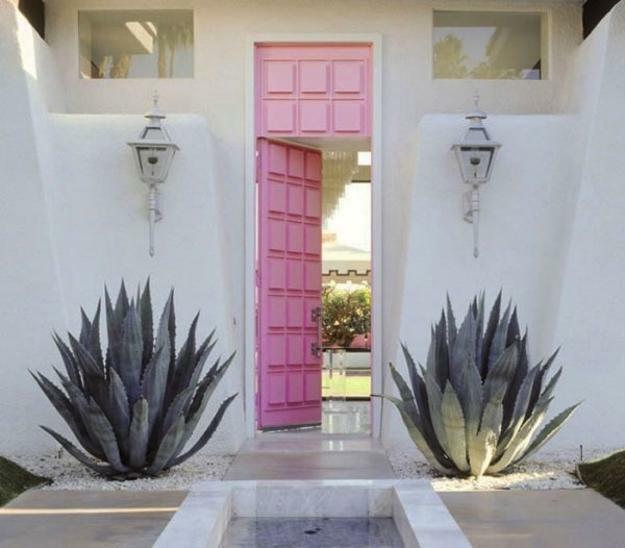 Striking paint colors create wonderful accents making a statement and attracting attention with an interesting contrasts. 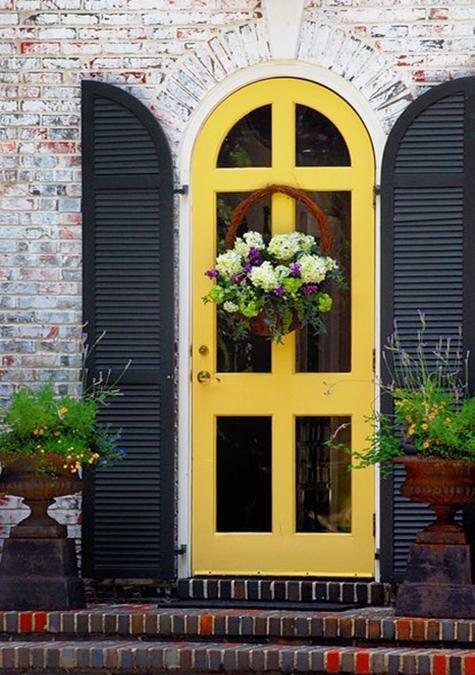 Selecting bold paint colors for your exterior wood door is a great option also, especially when you want to compliment your house exterior design elements. 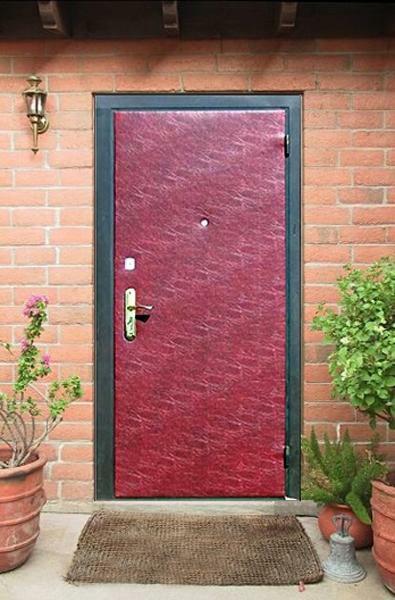 Creative painting ideas bring an artistic touch to front door decoration and can beautify exterior wood door with stenciling and lettering designs. 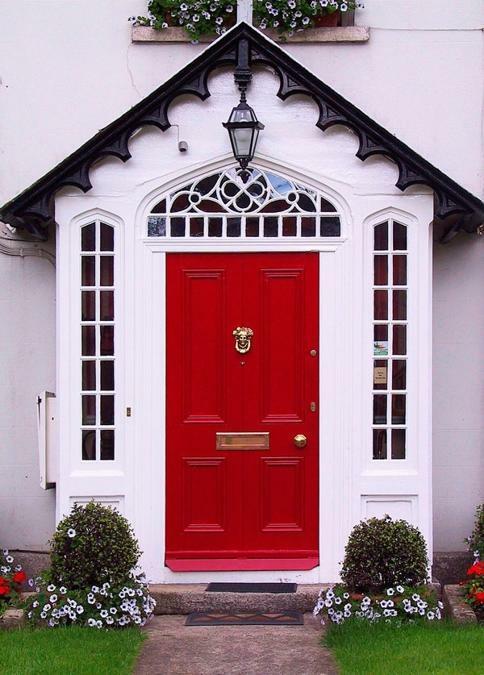 Adding a bold paint color to your exterior wood door is an exciting way to create attractive and unique house exterior and a welcoming feel that makes guests eager to enter the home. 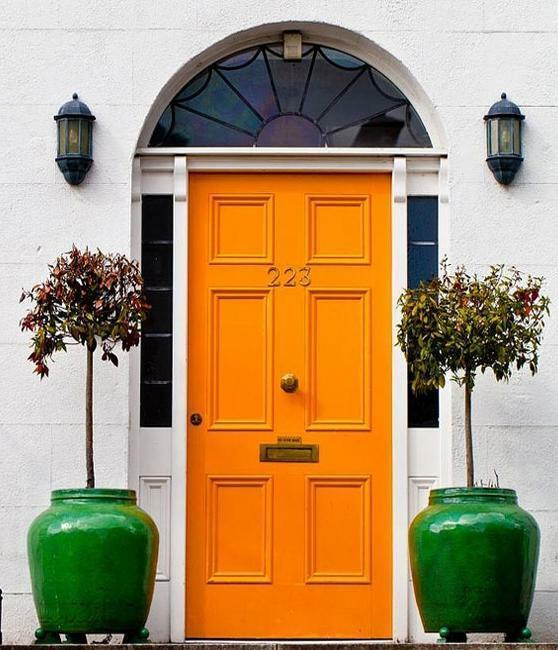 Bright paint colors are great for exterior doors when you sell your house and want to set an inviting mood for viewing your home interiors. 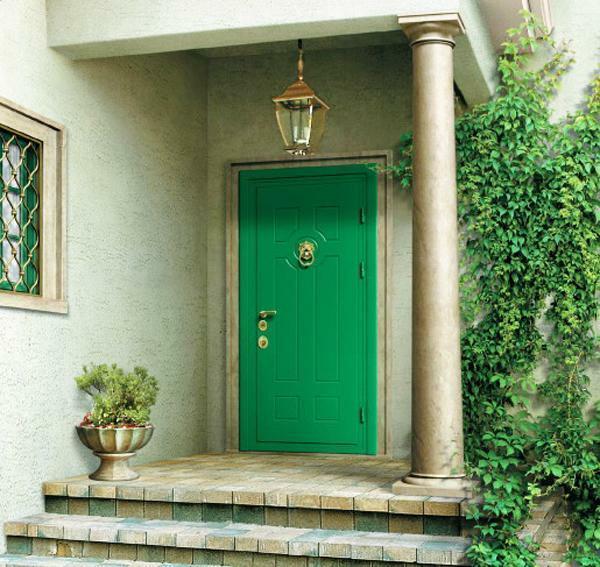 Attractive and bright paint colors used for your front door decoration redirect the attention from other exterior areas that may need improvement. 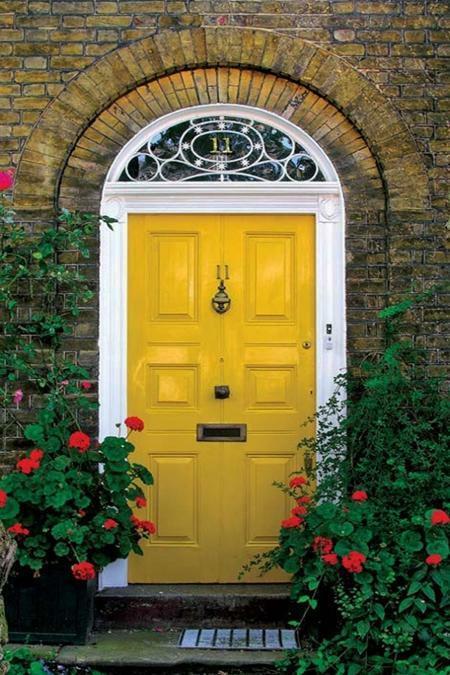 Adding a bright color to exterior wood door dramatically changes the way your house exterior design looks and feels, creating beautiful curb appeal and emphasizing the charm and style of your home.